Saints Joachim and Anne were the parents of the Blessed Virgin Mary, so they were the grandparents of Jesus! 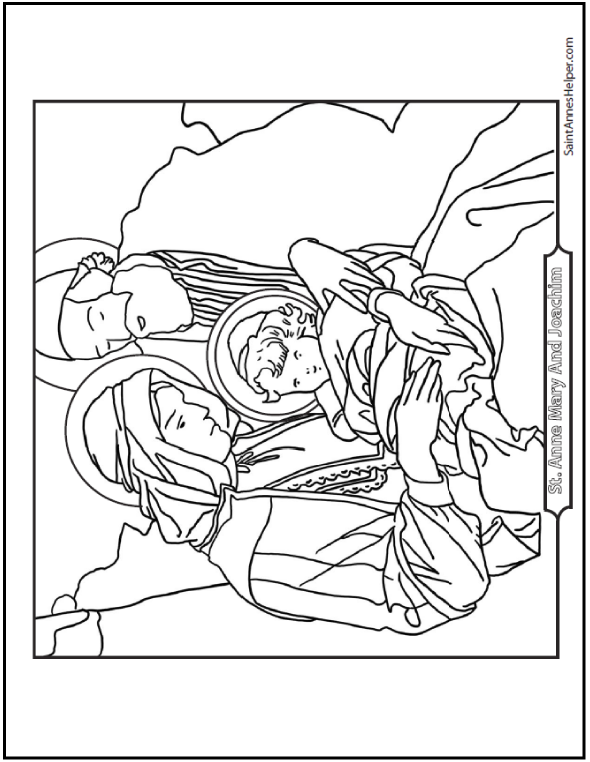 Kids can color this on the feasts of Anne and Joachim or in honor of their friends with these saints names. Great for school and nursing homes that are named after Joachim and Anne. This PDF prints 8.5x11" single sided. Saints Joachim and Anne are holding Mary who will be the Mother of Jesus. Teach the children for feast days and Advent as we expect the coming of Jesus at Christmas. Since St. Joachim was the father of Mary, he is a patron for Father's Day. 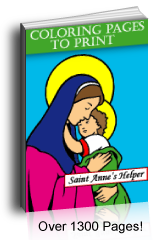 Since St. Anne was the mother of Mary, she is a patroness for Mother's Day.